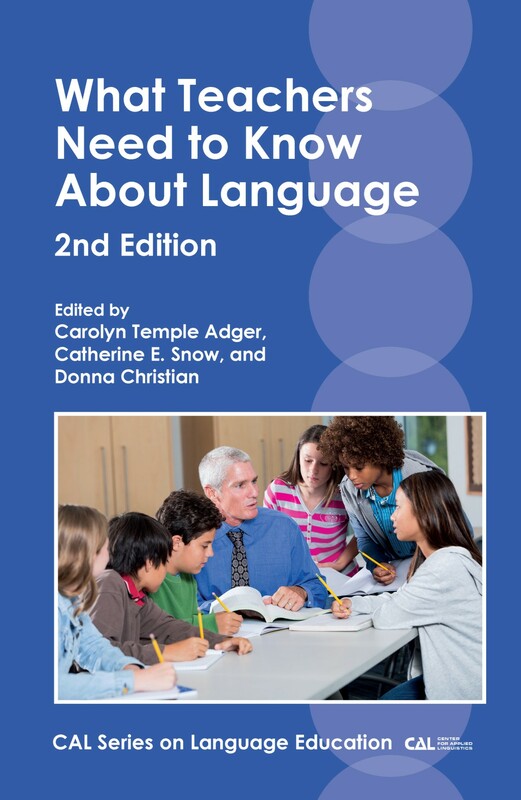 This month we published What Teachers Need to Know About Language edited by Carolyn Temple Adger, Catherine E. Snow and Donna Christian. In this post Catherine explains how teachers can better support children learning language if they know more about language themselves. Michael Halliday (1993) distinguished three dimensions of the language user’s challenge: learning language, learning through language, and learning about language. Learning language is, of course, what almost every child manages to do – typically with considerable help from parents and adult caretakers. Children then go on to learning through language, again with lots of help from adults, including teachers, reading aloud to them, answering their questions, and explaining the world. 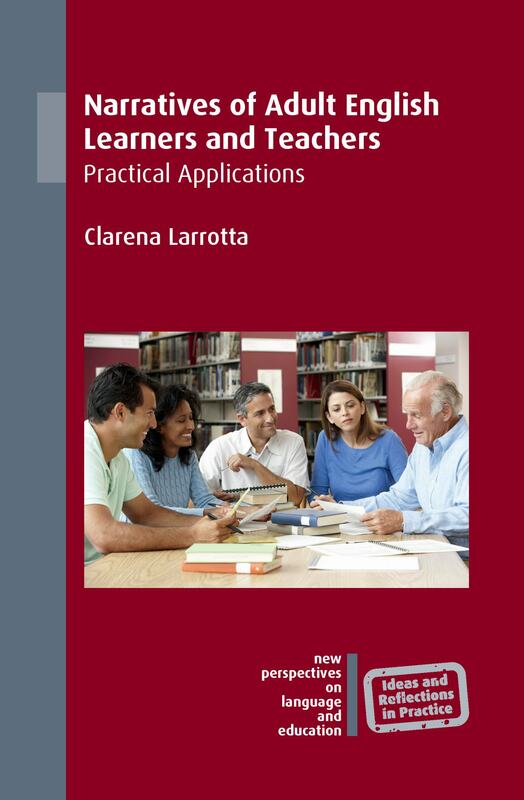 A basic premise of What Teachers Need to Know About Language is that teachers can support children learning language and learning through language better if they know more about language – how languages work, how languages differ, why a language sounds different in different places, how spelling develops, and what aspects of a language pose the greatest challenges to young readers and writers. Learning about language offers endless puzzles and amusements. For example, languages differ in how sounds can group together. With regard to English, consider the simple case of consonant clusters. Which sequences of consonants are allowed in English pronunciation? We can say words beginning with a [k] sound like clock and crock, but not cmock or csock or cnock. We English speakers don’t say the sounds of K and N together at the beginning of a word, but English has lots of words spelled with those two letters at the beginning: knock, knob, knee, know, knife, knight, knave, knapsack, knit, and knead, among others, where the [k] sound is not pronounced. German and Dutch speakers know there would be no difficulty in pronouncing the K and N in all these words, since their languages have words spelled with the K-N cluster and they pronounce both sounds. But English speakers just don’t do it. Why should we care? Because knowing that K-N-initial words are Germanic in origin, and that both letters are pronounced together in other Germanic languages but not in English, explains something about English spelling. Teachers should know enough not to tell their students “English spelling is illogical. Just memorize it.” Instead, with a little knowledge ABOUT language, they are in a position not only to understand spelling patterns (and their students’ errors) but also to explain the origins of the correct spellings. Similarly, with a little knowledge about how native speakers of Spanish hear English sounds, seemingly bizarre spellings like ‘warer’ for water and ‘ironker’ for I don’t care resolve themselves into students’ masterful attempts to use what they know about spelling in Spanish to represent words and phrases in English. The T in English water and the D in I don’t are pronounced exactly like the R in Spanish pero. 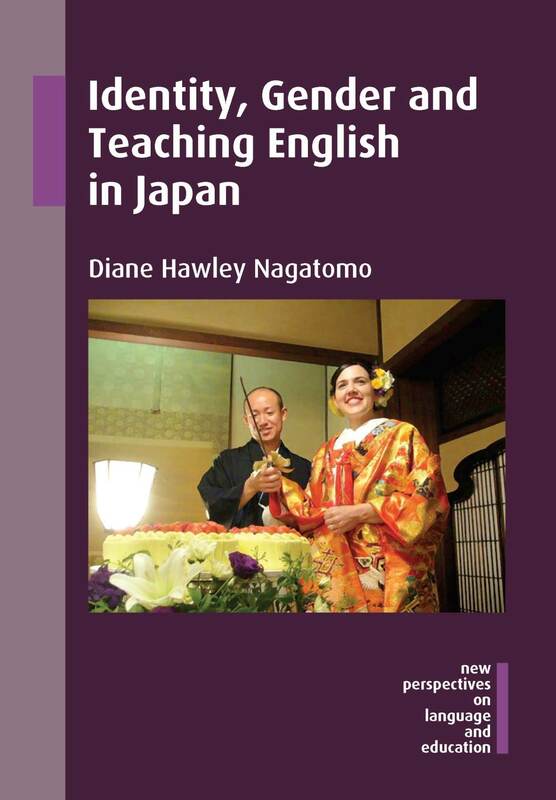 Supporting language learning and learning through language is a major goal for any teacher. A little bit of learning about language can help teachers work more effectively with their students in achieving that goal. 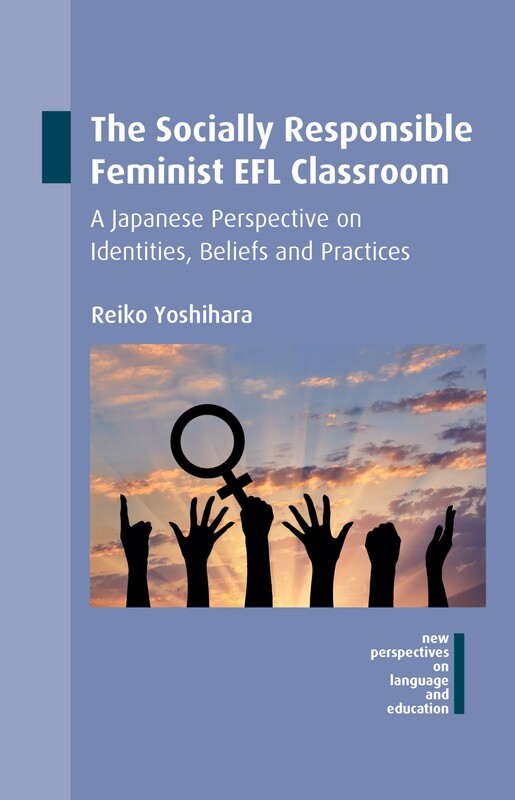 For more information about this book please see our website. 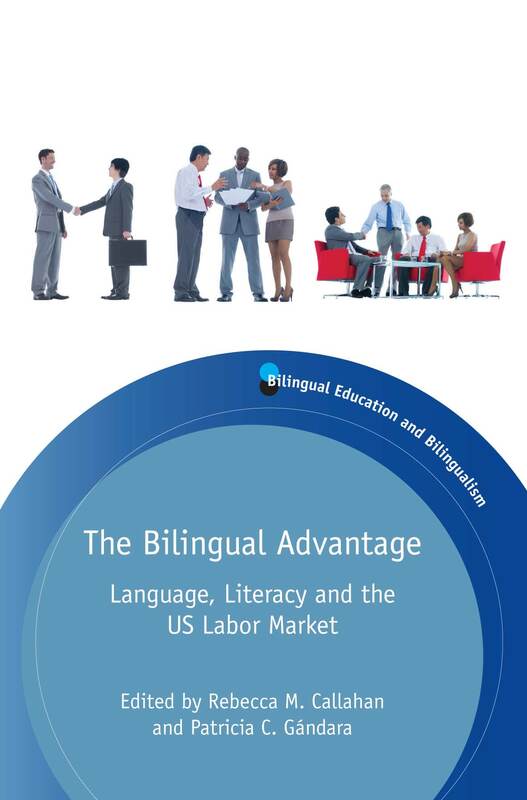 If you found this interesting, you might also like The Bilingual Advantage edited by Rebecca M. Callahan and Patricia C. Gándara. 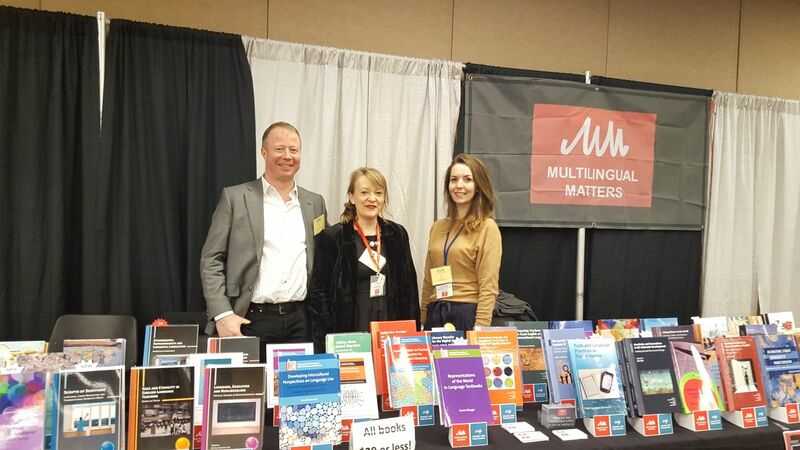 Last month I headed off to Chicago with Anna and Tommi for my first international trip with MM – a week of back to back conferences, starting with AAAL and ending with TESOL. After a nice, relaxing flight over, I arrived in Chicago ready to dive straight into the first day of AAAL the following morning. On the walk to the conference hotel on the first morning, I truly understood how Chicago got its “Windy City” nickname. It was absolutely freezing! No matter which way you turned, hoping the next block would offer some shelter, the gusts coming off the lake seemed to find you. It was a relief to arrive and hunker down in basement where the exhibit hall was located. After a fairly relaxed start, it was quite the baptism of fire when the first coffee break brought a flurry of people downstairs to the exhibit hall, and every subsequent break continued in the same vein, with all three of us scrabbling for pens, order forms and books at once. 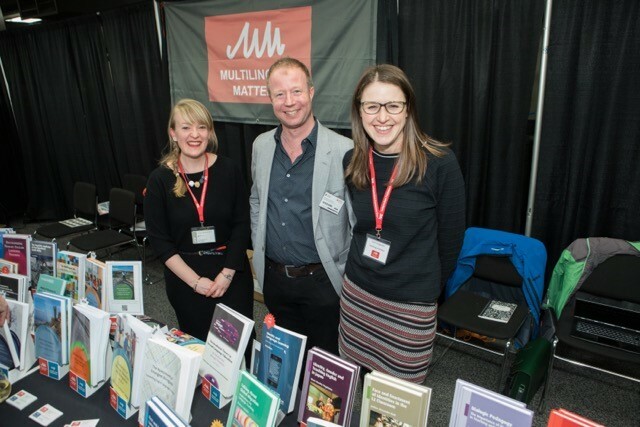 Still, it was great to see so much enthusiasm for our books and it was a really successful conference in terms of sales, with Jan Blommaert’s new book, Dialogues with Ethnography, and Translanguaging in Higher Education edited by Catherine M. Mazak and Kevin S. Carroll proving particularly popular. It was also a really good opportunity for me to finally meet so many of the people I’ve been emailing back and forth with over the past three and a half years, and put faces to names. 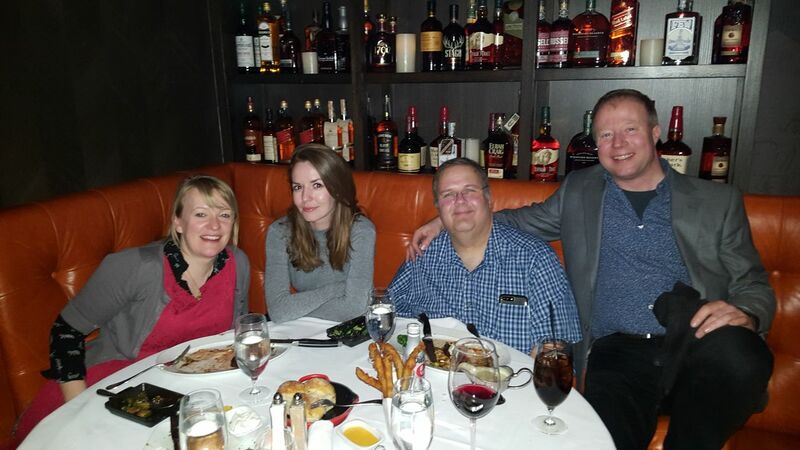 We were even able to spend time with a couple of our authors after the conference over dinner and had lovely meals out with Wayne Wright, and Maggie Hawkins and her son, Sam. I particularly enjoyed sampling the culinary delights Chicago has to offer, including deep dish pizza, steak and the best Brussels sprouts I have ever encountered in my life! With AAAL over and Anna on a flight back to the UK, Tommi and I headed straight off to the convention centre where this year’s TESOL was being held. It was a totally different experience for me, having never exhibited in a convention centre before, and I couldn’t believe the sheer scale of the place. After a quiet start, our stand got busier and busier, and by the time Tommi left for home on the penultimate day, I was rushed off my feet! 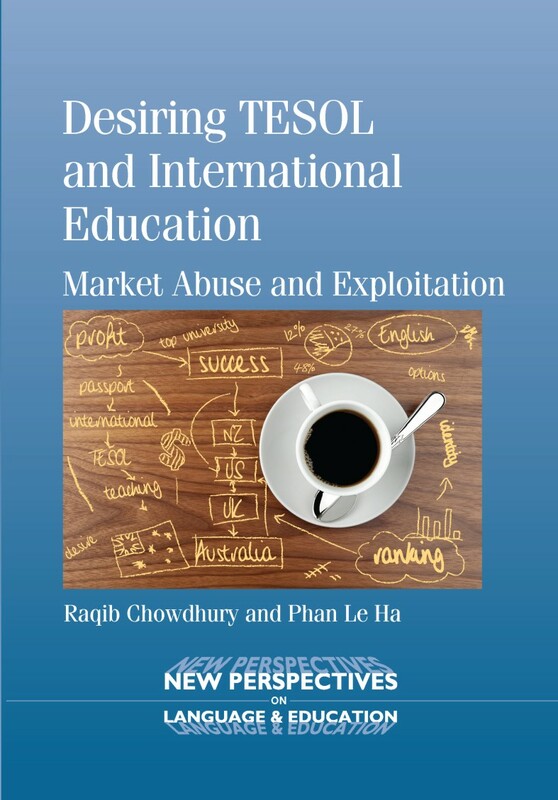 Again, sales were good and it was particularly pleasing to take so many preorders of Shawna Shapiro, Raichle Farrelly and Mary Jane Curry’s forthcoming book, Educating Refugee-background Students, due out in May. It being my first time in Chicago, I took the opportunity wherever possible to see some of the sights at the end of each day at the conference. I ventured off to Millennium Park to see the famous Bean sculpture there, visited the Art Institute (where the highlight, aside from the collections of famous paintings, were the incredible Thorne Miniature Rooms) and waited in what felt like the world’s longest queue to go up the Willis Tower and try out “The Ledge”, a glass balcony that extends four feet outside the 103rd floor! For the Multilingual Matters/Channel View team, April has been a busy month and there have been just 2 days when we’ve all been in the office together. 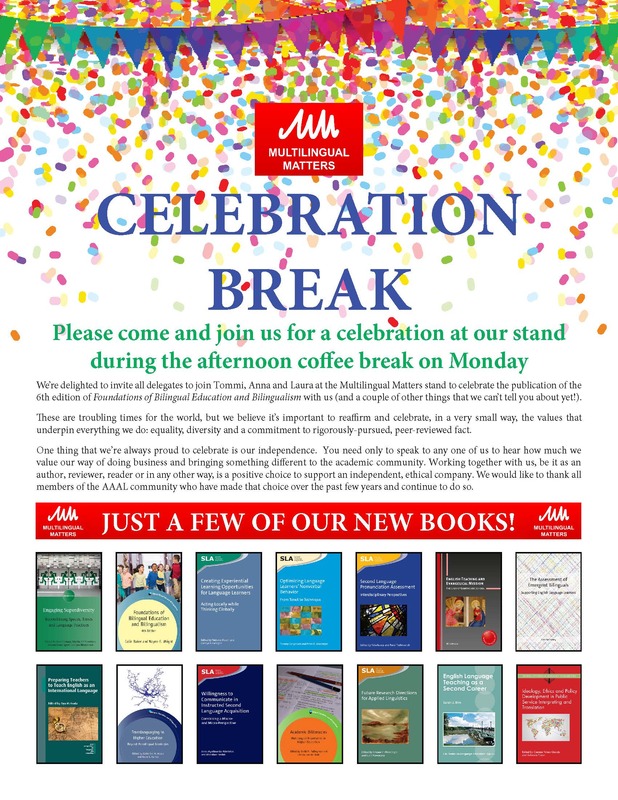 Those blog readers who also follow our Facebook page will have seen photos from Sarah and Elinor’s trip to the London Book Fair and a selection from our US conference travels, an annual highlight on our travel calendar. 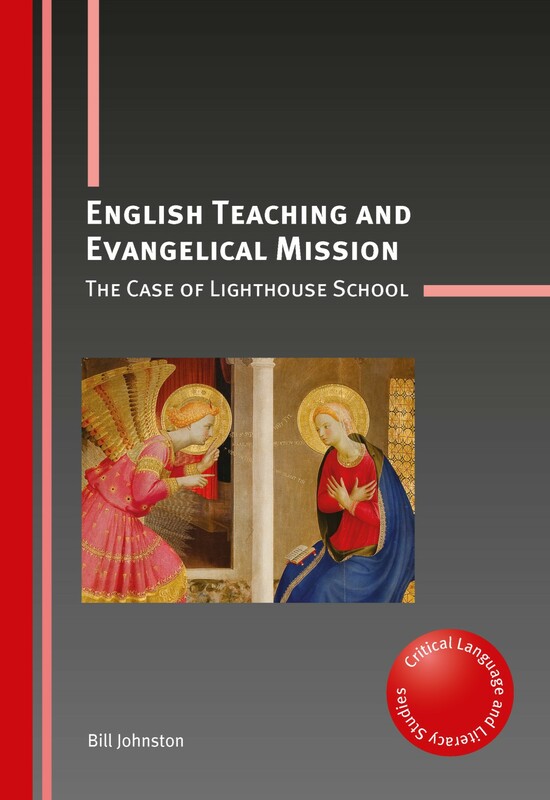 This year’s arrangements involved a lot of juggling and complicated logistics due to the clash of the annual AAAL and AERA conferences but thankfully both we and all our books and display materials made it to all intended destinations! Mine and Tommi’s first destination was Baltimore, where the TESOL convention was being held. One of the highlights of our time in Baltimore was the lunch we hosted to celebrate our author, Bonny Norton, and Ron Darvin being co-awarded the 2016 TESOL Award for Distinguished Research. For Tommi, it was then onwards to meet Anna in Orlando, where the two of them represented Multilingual Matters at AAAL. As usual the conference was extremely busy for us and both new and older titles proved to be extremely popular at our stand. Of the older titles, Blommaert’s Ethnography, Superdiversity and Linguistic Landscapes proved to be enduringly popular and was the best-seller overall. 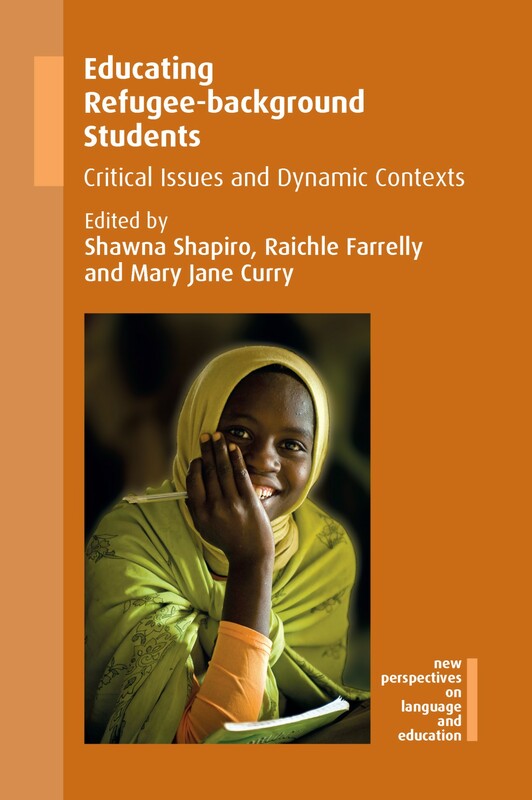 It was closely followed by the new titles Emotion and Discourse in L2 Narrative Research by Matthew T. Prior, Positive Psychology in SLA edited by Peter D. MacIntyre, Tammy Gregersen and Sarah Mercer and Literacy Theories for the Digital Age by Kathy A. Mills. 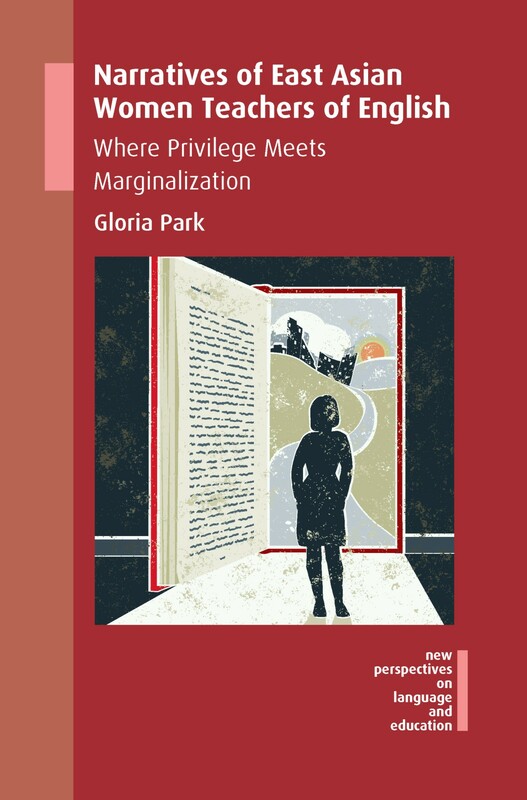 Meanwhile, I was at AERA in Washington, where Kathy A. 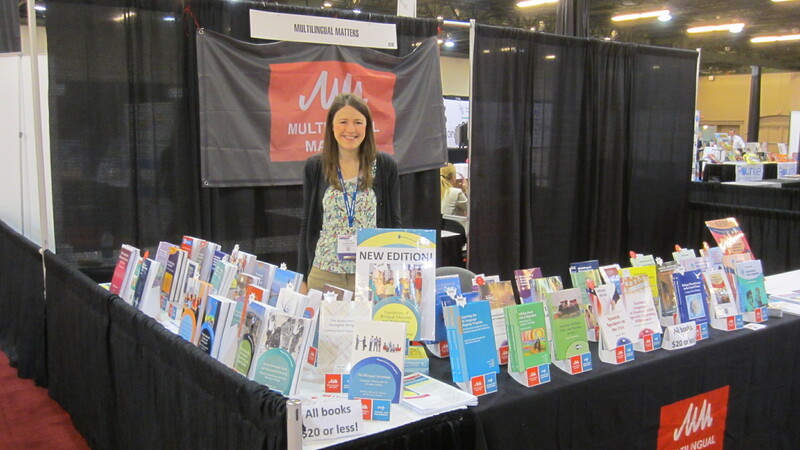 Mills conducted a book signing at our stand for the book, which was by far the most popular title there. It was great to see readers meeting the author and having the opportunity to talk about the work with the author in person. After the conference I enjoyed a morning exploring Washington and found that there is a Longworth House Office there. A rather surprised worker in the building kindly took a photo of me to mark the discovery! Tommi then returned to Washington, where he and I had some meetings. A highlight was the visit to the CAL offices where we met with Terry Wiley and his colleagues to discuss the new book series we are working on together with CAL. 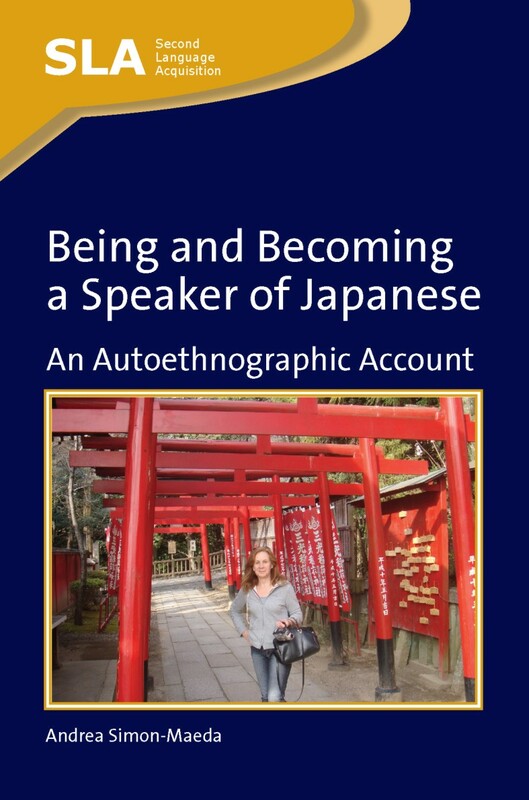 The series is due to launch later this year when we expect to be publishing the first book, written by Sarah Shin. Watch this space for more information… While there we also enjoyed many conversations with members of the CAL community and finding out more about the work they do. All in all, April was a very hectic month for us all and we’re still very busy catching up and of course publishing more books – 12 more to come over the next two months! Keep your eye on our blog, Facebook page and Twitter account for further details. Next stop for us on the conference trail will be the Sociolinguistics Symposium in Murcia. We hope to see you there!